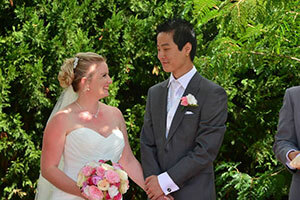 Glen and I wanted to say a huge thank you for everything you did for us on our wedding day. We had such an amazing time and everybody was absolutely blown away by how amazing the cars were. 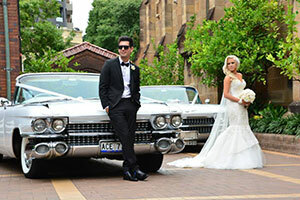 We received our wedding photos back and I wanted to share some with you of the cars. Just wanted to say a massive thank you to the team at Ace American Convertibles!! You were all amazing on the day especially Diane who was so warm hearted and helped me every step of the way, helping me in and out of the car, fixing my dress and veil and being so supportive throughout the entire day. 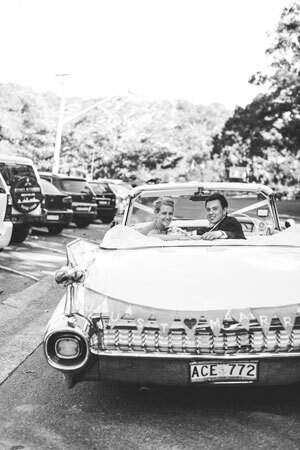 You were a great choice for our wedding day and we all had so much fun driving around in the convertibles. Thank you, thank you!!! Larele and Gianni. Thank you so much guys!! You have really made our day a fairy tale! 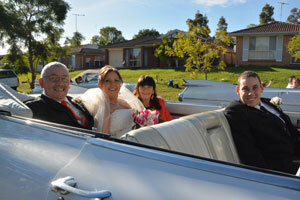 Absolutely loved the car and the happy fifties music on the way to the altar! 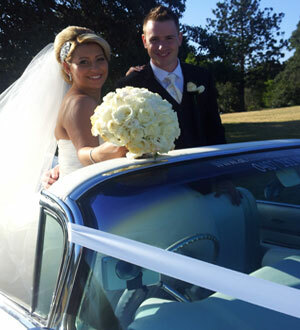 Everything was so smooth, beautiful, perfect and we had so many compliments about the car! The most helpful driver you could imagine and the small details such as red carpet when coming out of the car were truly amazing! Thank you for the gorgeous photos and for everyone that is considering Ace American for their wedding : Do not think twice, because they are truly amazing!!! Thankyou so much for everything you did on the wedding day. Thank you for your amazing service. You made the whole experience very enjoyable and memorable. The car was immaculate and Alan was so friendly and patient. I will definitely recommend your service to everyone. On behalf of my family and all those involved with Carla & Chris's wedding last Saturday, I would like to thank you all for the professional, helpful and caring manner in which you conduct your business. 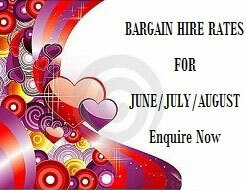 We will recommend your company to any one we know who is planning to get married. Jodie wrote: "Thank you so much for everything on Saturday! The service was excellent and we had a great time. I will definitely recommend you guys to our friends and family. Thanks again!" 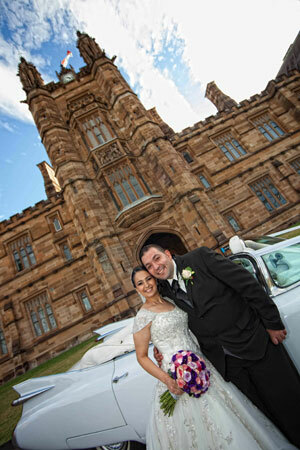 "Thankyou very much Dianne for making my daughter Natalina and Son in Law Brad,s Wedding Day so special. You made the day so fantastic and went out of the way to accommodate us all. My son Frank enjoyed the front seat ride in the car with you and he now wants a car exactly like yours with the horn and all lol. Thanks so much from The Limonelli Family . "A very big thank you to Diane and the team at Ace American Convertibles team love you guys dearly I would recommend you to absolutely anyone and everyone the cars are amazing and the service is second to none!!!! You guys made our day...the pics are great...Thank you so much....."
On behalf of Anthony and myself, we would like to thank-you for an amazing day. The car was perfect, as was your service. The music in your car added an upbeat vibe, and the excitement was phenomenal. 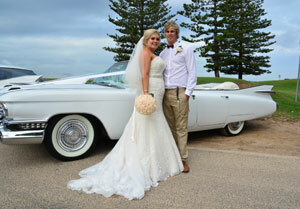 We couldn't have asked for a better car, driver or weather on our special day. 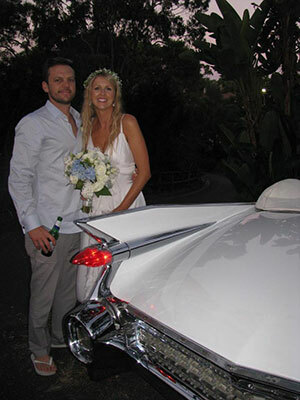 Thank you for putting up the just married banner on the back of your car, it looked amazing. I never got to the chance to thank you for the gorgeous cars and lovely service you all did the best job.I couldn't have asked for anything better.I am highly recommending you to everyone I know, I can't thank you enough you were such a great help on the day and I really appreciate it. Just want to say the biggest thank you!! You guys made our day absolutely perfect! We always knew that Ace Convertibles was going to be great from the moment we saw the cars & met Diane. 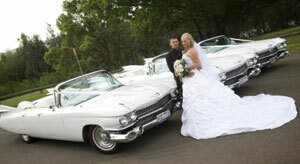 We have no hesitation in recommending you to anyone after cadillacs.